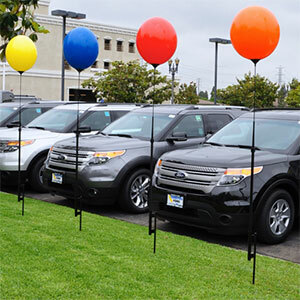 Large reusable balloons are now front and center using this reusable balloon pole kit. 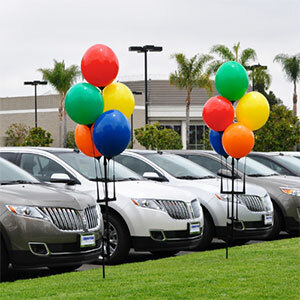 This Reusable Balloon Trio Suction Cup kit will attach to any non-porous surface with our super strong Suction Cup. Five times the impact of our Reusable Ground Pole Kit! 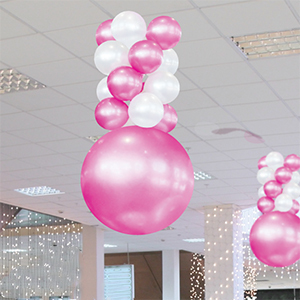 The use of two Cluster Arms allows this kit to hold five Reusable Balloons at once! 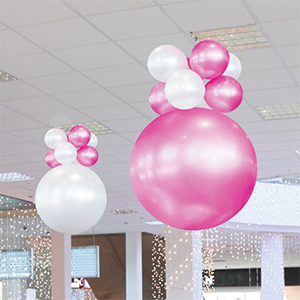 Draw attention to your big item or event area with our 2-Layer Reusable Balloon Ceiling Tower Kit. 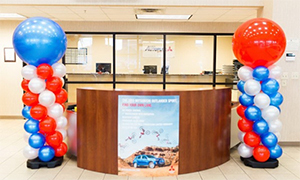 Suspend your customer's excitement with our 4-Layer Reusable Balloon Ceiling Tower Kit. 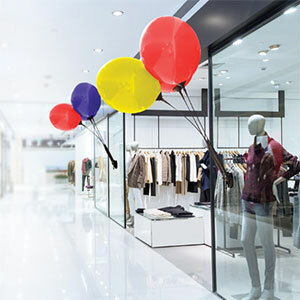 Your showroom will have a whole new atmosphere and excitement with this Indoor Reusable Balloon Tower Kit. 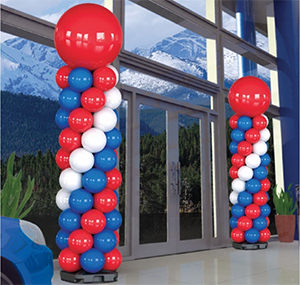 This eye-catching 9 foot tall reusable balloon tower kit will make your event have the exciting energy it deserves.